Last week I came across this amazing vintage fabric score with my friend and studio-mate Catherine. 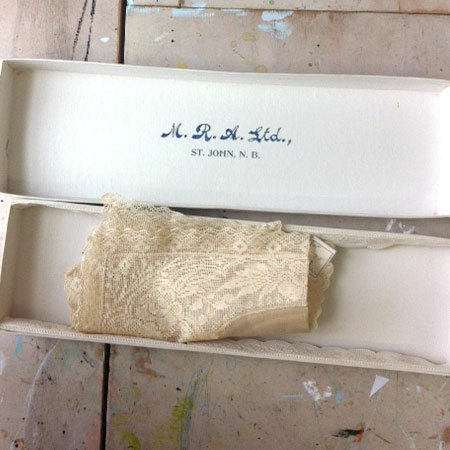 One of her friends had told us of of a lady who had some amazing vintage linens in her basement. When we got there I knew this wasn’t just any find. We discovered treasure after treasure. A lot hadn’t even been taken out of the boxes. 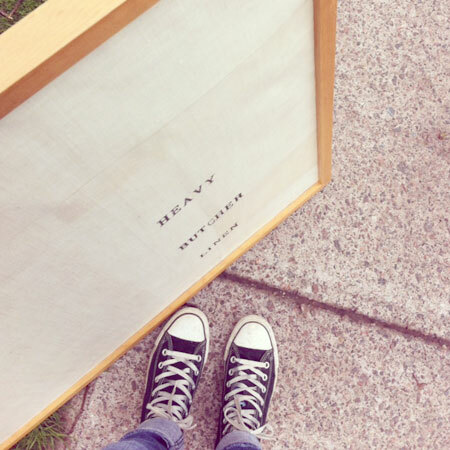 I decided to frame this gorgeous linen that had “heavy butcher linen” screened on it. I love the simplicity of it. There was an apron with this tag still on it, made by the blind. It is so pretty and is now my painting apron, makes me so happy. This piece is so pretty it actually makes me giddy. 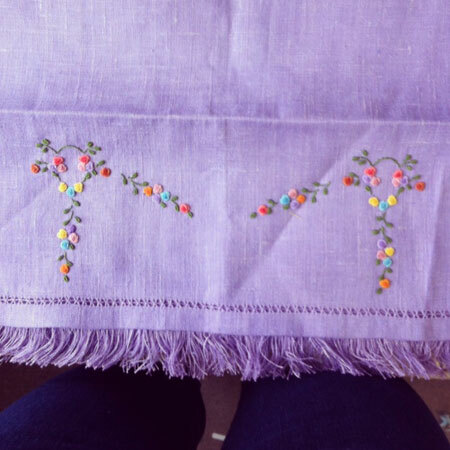 The embroidery is hand done, but so perfect that it looks like it was made by machine. Not pictured are yards and yards of amazing white linen I also got. Score of a lifetime! Wow. Nothing better than stumbling upon treasure. Can’t wait to see some of these show up transformed in future posts. Score! That apron just kills me. 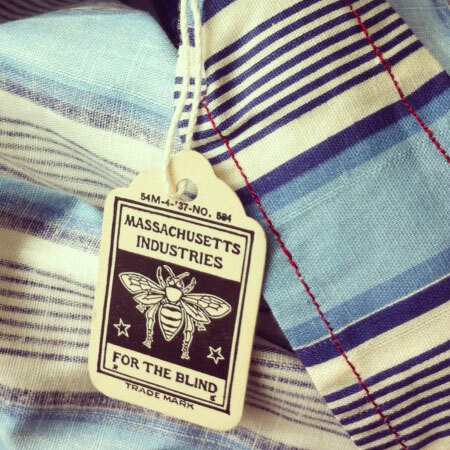 I’d love to know about this “Massachusetts Industries for the Blind…” It would make me happy to wear too. Enjoy!